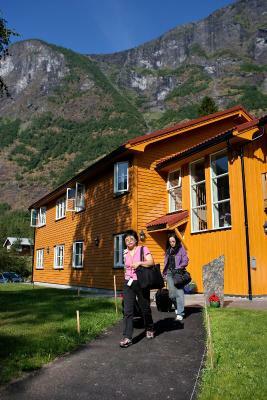 Lock in a great price for Flåm Hostel – rated 8.8 by recent guests! nice staff, located in a good location with very short walk from pier and near by restaurant and shop. good facility in the kitchen. clean room. The location is close to railway station and bus station. So I can say it is close to main facility in Flam area. Very convenient. Staff were very nice. We got upgraded and the facilities in general were very cosy. Just a few steps from town. Large shared kitchen and lounge, though we had our own private rooms/bathrooms. It was a great stay. The staffs are very very nice. The place is quiet, views are great. 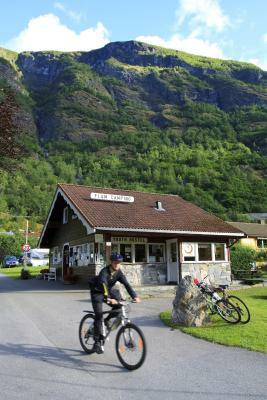 Just 5-10 minutes walk from the Flam Visitor Centre. The common kitchen has all the things you need. They even get the free food basket to share some extra food. Each room has its own toilet and people are great! The best hostel I have ever stayed. room did the trick, unfortunate the weather didnt cooperate. the view was amazing. I had a whole 4person room all to myself! I was lucky it was clean but sometimes it smelt like poop in the hallway (i do not know why though) anyways it was fantastic. they also have goats in front of the hostel. Wonderful senery. loved it. amd thank you for the towels. The place is lovely. Close to the train station. Cosy place . Clean and comfortable. Very comfortable & clean hostel. 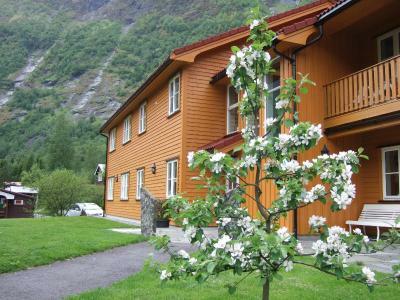 Within easy walking distance of Flam. Staff very friendly. Highy recommend! The location and the cabin. The hostel have a good view surrounding. 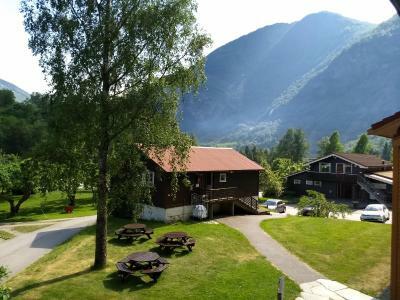 Beautifully located by the Aurland Fjord, Flåm Hostel offers free parking and rooms with private or shared bathroom facilities. 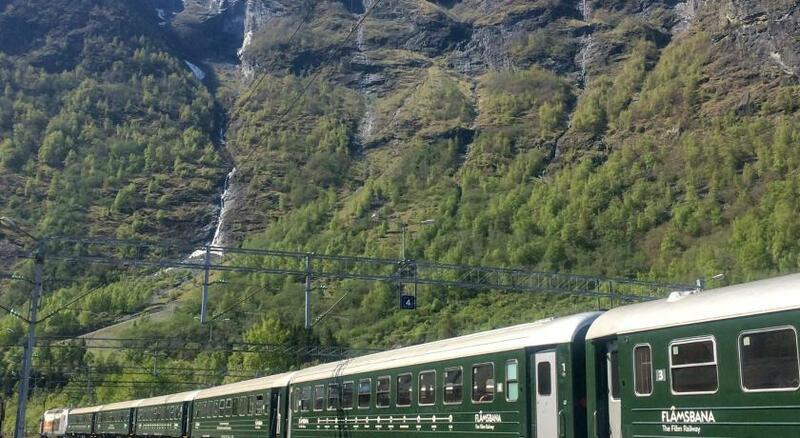 Flåm Train Station and Ferry Terminal are 1,000 feet away. 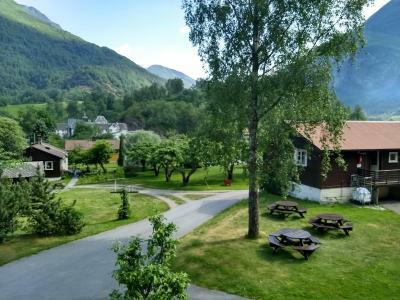 Facilities at Hostel Flåm include a guest kitchen, laundry room and a kiosk. Guests can relax in the garden which includes a children’s playground. The staff can help to arrange kayak rentals and tours on the UNESCO-listed Nærøy Fjord. Hiking and biking are also popular activities in the area. The staff are happy to suggest other activities in the area. The Navvies’ Bicycle Road is 1,000 feet away from Flåm Hostel, while Flåm Railway Museum is 1,950 feet away. The 12th century Undredal Stave Church is a 15-minute drive away. This property is also rated for the best value in Flåm! Guests are getting more for their money when compared to other properties in this city. When would you like to stay at Flåm Hostel? This room has a private bathroom and access to a guest kitchen and living room. This room is located on the second floor and is only accessible by stairs. A guest kitchen and toilets are located on the same floor, while showers are located on the ground floor. Please note that showers are coin-operated. One shower (6 minutes) per guest is included. This dormitory room has a seating area, a private bathroom and access to a communal kitchen on the ground floor and a living room on the upper floor. This dormitory room has a seating area and access to a communal kitchen in the same building. Bathrooms with coin-operated showers are located in a separate building. One shower (6 minutes) per guest is included. This room has a seating area and access to a communal kitchen in the same building. House Rules Flåm Hostel takes special requests – add in the next step! Flåm Hostel accepts these cards and reserves the right to temporarily hold an amount prior to arrival. Please note that bed linen is included and guests must made their own bed. Please inform Flåm Hostel of your expected arrival time in advance. You can use the Special Requests box when booking, or contact the property directly using the contact details in your confirmation. How to get to Flåm Hostel from "Bergen Airport, Flesland"
I have to take a bath in 6 mins otherwise the water will cut down and more water. If you want more, you have to pay 20 NOK It's too short for me because that they I was so dirty and I want to take a shower. The service from the managers was friendly and outstanding. It was very clean, warm, secure and had a very well equipped kitchen and two lounge areas. We particularly liked the ability to recycling waste. Nice location and comfortable beds. The location, hygiene, facilities, staffs are so great. If you want to stay in Flam, you should stay here!! The WiFi kept disconnecting constantly, so we had to enter our password all the time. Very cute hostel. Flåm is a very small city so there’s no way location is not central. The bedrooms and kitchen are very well-equipped. Small room. Just too small for 4 adults. Good location. Near the station. surrounding is nature . .clear bed room but a liilttle bit walk to receiption due to big area. both for camping and hostel housing.. There was no radiator in the room, a visitor needs to prepare the bedding on their own. You pay additionaly for the towels. Beautifully placed hostel with fantastic personnel.